Recently I've learned that at least in the UK there is what seems to be an official distinction between two of these terms (though I can never remember which). Apparently one means you did something wrong and goes on your permanent record while the other just means you have to resubmit your paperwork. But is the same terminology used everywhere or might I get caught out by expecting one term I encounter in some other jurisdiction has the one meaning when they actually intended the other meaning? For all I know in some countries they might not distinguish such cases at all or some countries might make more than two distinctions. How can I know? For instance just looking up questions about visa rejection in the .gov.uk domain it looks to me like most people are using the terms to mean their paperwork was accepted but they were not granted visas. About 95% of the questions on this site are about the UK or Schengen members, so let's take those first. ...we can see that the term is unambiguously 'refusal'. This is a standard form used by the 20+ Schengen members. ...again we see the term is unambiguously 'refusal'. Granted that the UK has changed their logo/letterhead since this image was made, but the form itself is the same. Part 9 of the Immigration Rules is entitled "General grounds for the refusal of entry clearance, leave to enter or variation of leave to enter or remain in the United Kingdom "
...note that fees and paperwork are returned to the applicant. That covers the English speaking world pretty much, I assume your enquiry was constrained to English. The only nation using the terms inconsistently is the USA. I understand that an unqualified Google search will turn up countless references of many terms. 'rejection', 'denial', and so on. In seeking precision, it's best to limit your search results to sovereign governments because they are the only ones who can issue visas in the first instance (note that you asked about 'nations'). I also understand there's lots of images out there with a big DENIAL stamp on them. Looking closer, you'll see that these are provenanced by immigration advisers using scare tactics. 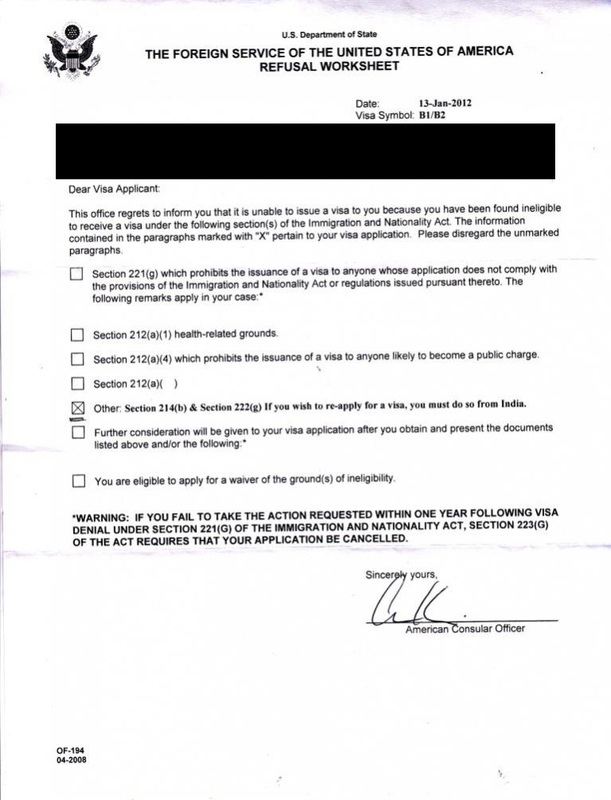 They do not issue visas and have commercial intent in their images. Such exhibits do not count in a serious discussion about terminology. Downloading a few, you can even see the Photoshop stamp in the metadata. And nobody, anywhere puts a stamp on the portrait page of a passport. There will always be blogs and correspondence and forum questions that use the terms they are accustomed to. Of the 46 questions on this site to date for visa refusals, this answer is correct for about 43 of them. "Rejection" is much more elusive and mercurial term to nail down. This is because it's usually handled via email or telephone and few people are going to use an internet resource like Stack Overflow to ask about it. The next exhibit is a heavily redacted email sent by a Home Office official (in Croydon) to their external stakeholders. ...as can be seen the author is using 'rejection' as though he expects his audience to be familiar with the term (reasonable, since that's the business they are in). But more importantly, he makes a trenchant differentiation in his statement "...is time we do not spend making decisions..." I.e, rejections prevent them from making grants or refusals. He does not consider 'rejection' to be associated with decision-making. Also on the same point, they published a strange and mysterious Freedom of Information Act response earlier this week (11 Feb 2015). It is entitled "The total number of rejections made on Indefinite Leave to Remain" and can be found here. I would not even attempt to understand its value or who asked for it. However, they are not talking about refusals. 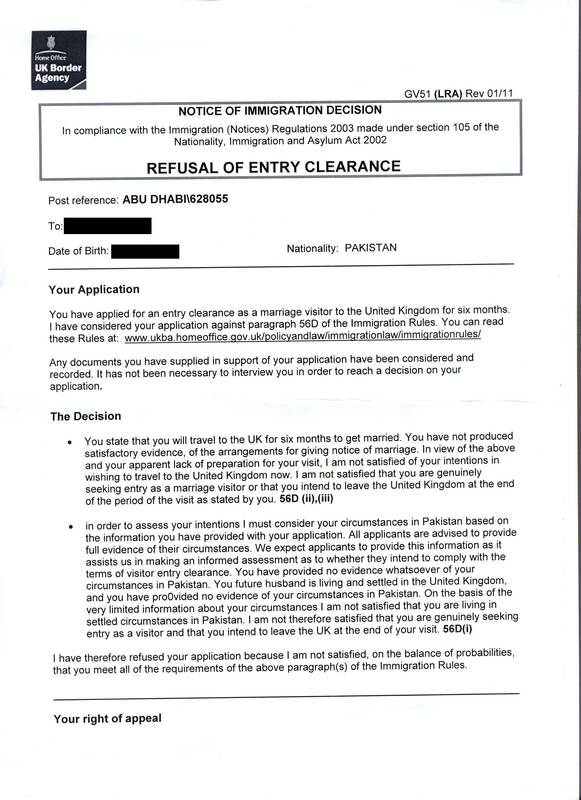 Refusal statistics are published quarterly by the Office of National Statistics so this is something else entirely: visa rejections. The Commonwealth makes similar publications and follows the same conventions. The Schengen convention would follow closely. A decision on refusal and the reasons on which it is based shall be notified to the applicant by means of the standard form set out in Annex VI. 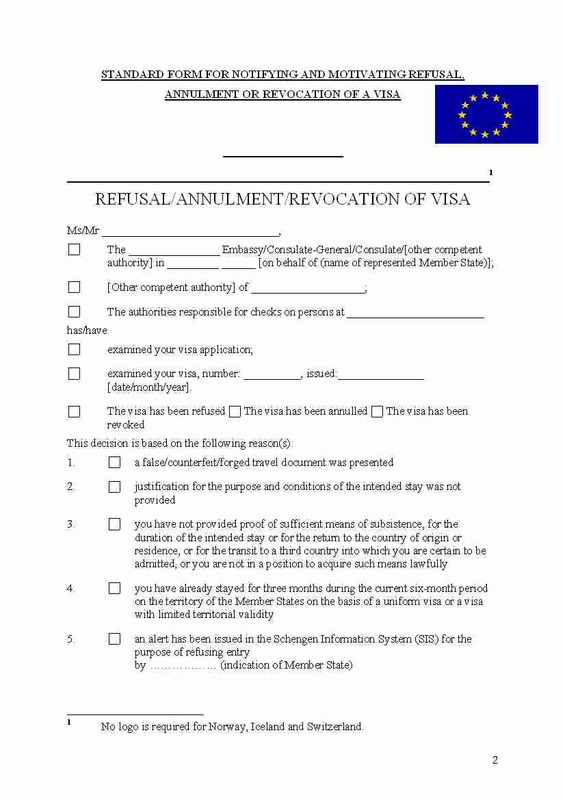 Information on a refused visa shall be entered into the VIS in accordance with Article 12 of the VIS Regulation. 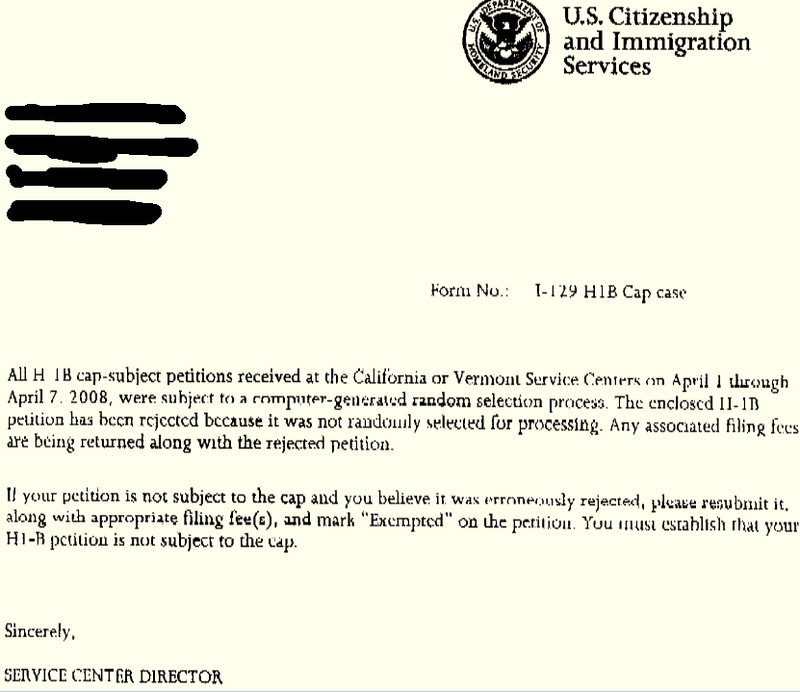 A refusal implies a specific stamp and an entry in a database. 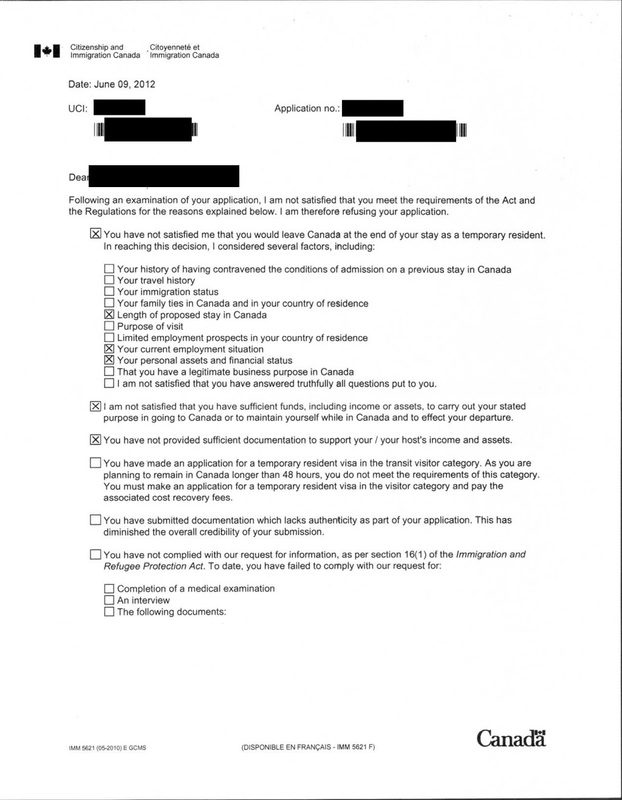 The person who applied for the visa should be provided with a standard form mentioning a specific reason (from a list) and explaining how they can appeal the decision. The application fee is not refunded. On the other hand, there is no specific term for “denial” or “rejection” (the words do not appear in the regulation). There is an article about consular competence (article 18) and another one about admissibility (article 19). If the consulate is not competent, it shall, without delay, return the application form and any documents submitted by the applicant, reimburse the visa fee, and indicate which consulate is competent. 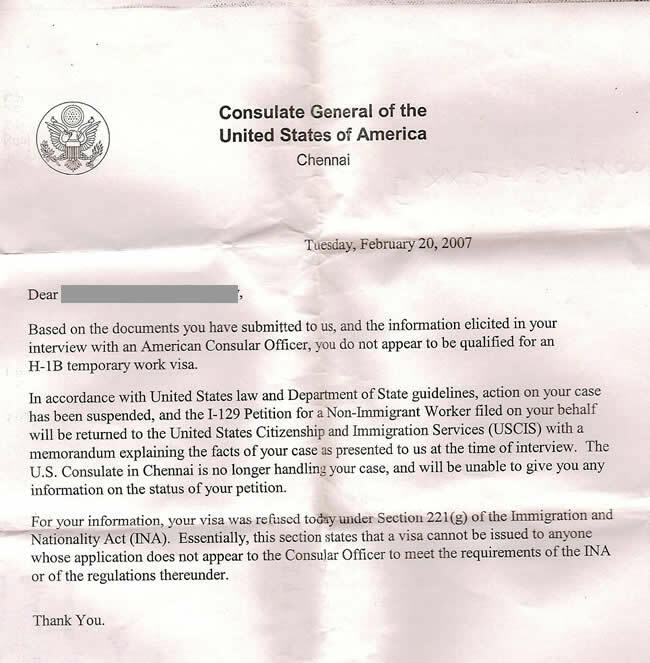 If a consulate isn't competent or an application isn't admissible (say it was lodged too far in advance), then the consulate obviously won't issue a visa but the difference with an outright refusal is that the applicant should get their money back, there is no database entry or refusal stamp and any biometric data collected should be destroyed. So the terminology might not be completely obvious but the difference between those outcomes is quite important for the people concerned. Not the answer you're looking for? Browse other questions tagged paperwork terminology countries visa-refusals visa-rejections or ask your own question. Are there countries other than the Netherlands that support hitchhiking? Why do some countries require everyone entering to see a customs officer, and some don't? Does the term “leg” have a precise meaning in air-travel?